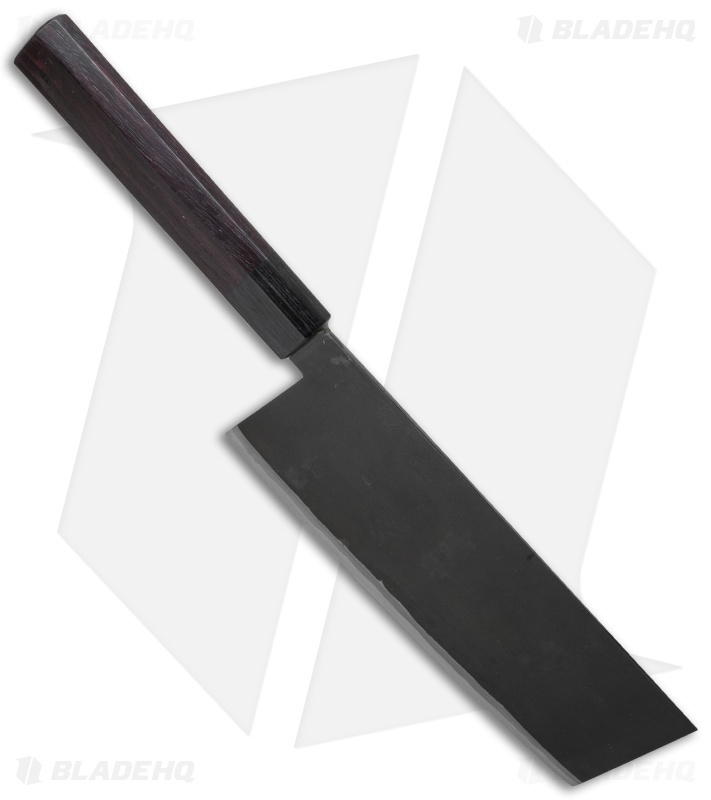 The Nakiri-Bocho is a traditional Japanese kitchen knife that is particularly well-suited to cutting, chopping, and dicing vegetables. This Large Nakiri knife has an NAS Aogami Super Steel blade, hand-forged and extremely sharp. 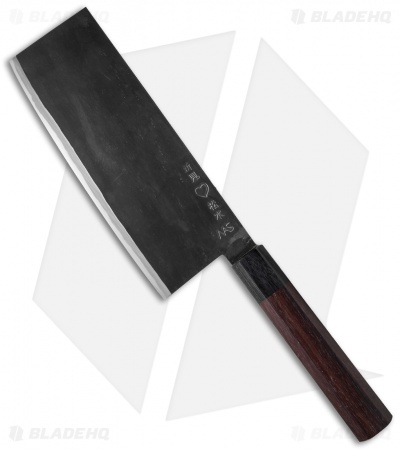 The wood handle has a beautiful finish and the four chamfered corners provide a secure grip in hand.